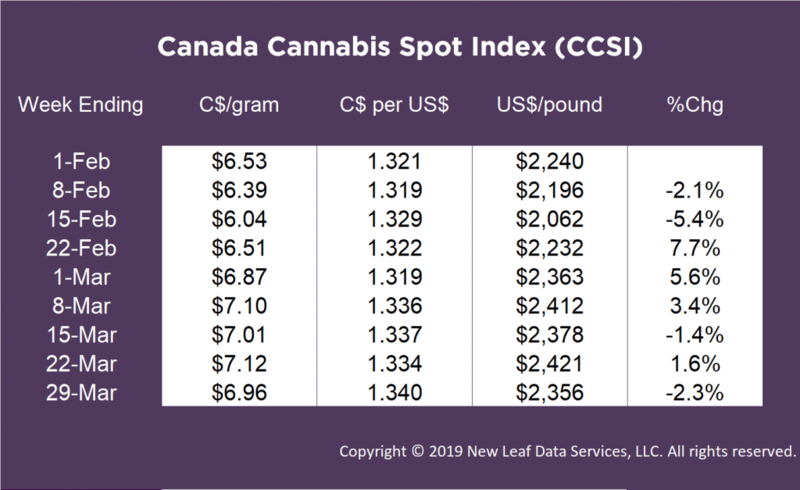 The CCSI dropped this week by 2.3% to C$6.96 per gram, from last week’s C$7.12 per gram. This week’s price of C$6.96 per gram equates to US$2,356 per pound at current exchange rates. 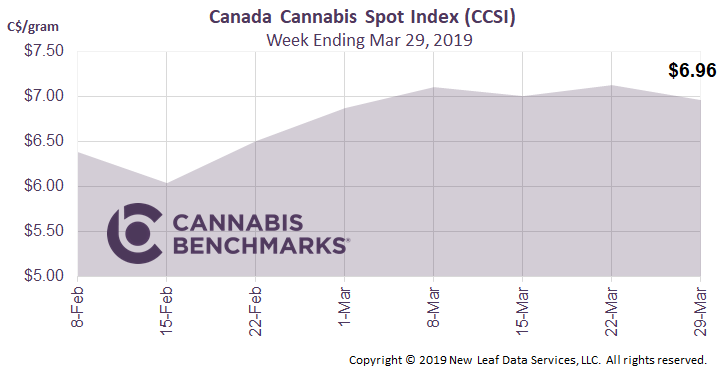 This week we once again turn to the Cannabis Tracking System report issued by the Government of Canada. 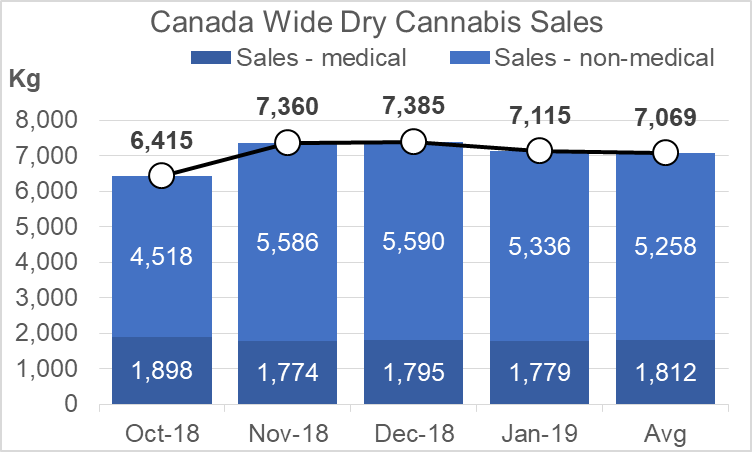 With the addition of January data, we see that Canadian sales have been relatively stable since legalization, averaging about 7,070 Kg sold monthly in the non-medical and medical markets. In the five months of data available, non-medical sales have averaged 5,258 Kg across Canada. Non-medical sales are about three times higher than medical sales. Total finished inventory, which is inventory that is packaged and labelled, sits at 19,520 Kg as of the end of January. This is unsold product stored at the licensed producer’s (LP) facility, or at an online distribution or retail storefront location, as reflected in the chart below. This inventory equates to 2.7 months worth of sales at current rates [19,520 / 7,069 kg]. Total unfinished inventory, which is inventory that is NOT packaged and labelled for retail sale, sits at 114,628 Kg as of the end of January. This inventory equates to 16.2 months worth of sales at current rates [114,628 / 7,069 kg].